For most food lovers, a trip to Japan includes a visit to the Tsukiji Fish Market in Tokyo ending with a sushi breakfast. Luckily, I crossed that adventure off my list almost 10 years ago. I tried and failed to recapture that moment on this trip after heading to Tsukiji early one morning, only to be turned off by the number of tourists who were lolly gagging around the busy stalls. I must admit that anticipating my extraordinary sushi dinner that night prevented me from having breakfast at Tsukiji, because if it weren’t for that, I would have wandered into one of the “unfound” excellent sushi-ya’s to start my morning off. 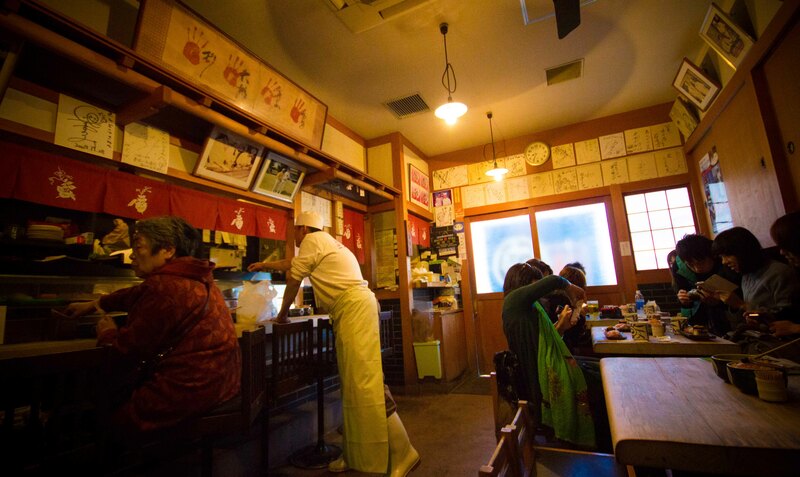 But a couple of days after Tokyo, I was in Osaka and looking for another sushi adventure. Luckily my dad was a willing dining companion, and that the Central Osaka Market was within walking distance from our hotel. I’d read about Endo Sushi located outside of the market and I was curious to see how the experience would compare to Tsukiji. As we wandered on the outskirts of a giant parking lot leading to the market, trucks sped by us on a mission to deliver freshly obtained seafood and produce. While my dad and I didn’t stray far into the market, I could tell that although the Central Market isn’t nearly the size of Tsukiji, it’s still impressive and seemingly unfound by the touring masses. 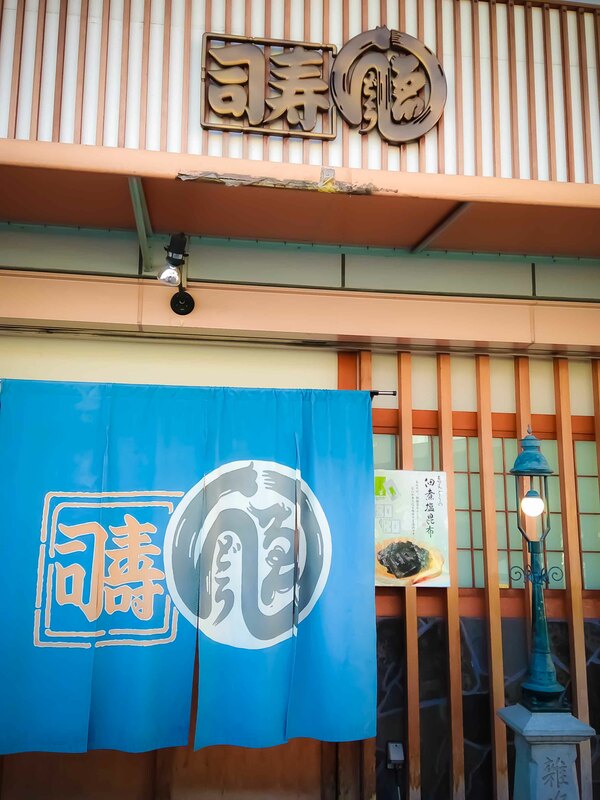 Endo sushi has been around for over 100 years and currently the 4th generation of the family is serving at the market in Osaka. It’s become famous its amazing sushi at a very reasonable price. Each omakase plate has 5 pieces of nigiri sushi and is ¥10,50 (around $12). Walking in, I’ll admit that I was sad to see that the most of the patrons were tourists, but if I found this place online, it’s not shocking that others did as well. Interestingly enough, we weren’t dining beside Western tourists, but those from China and Korea. 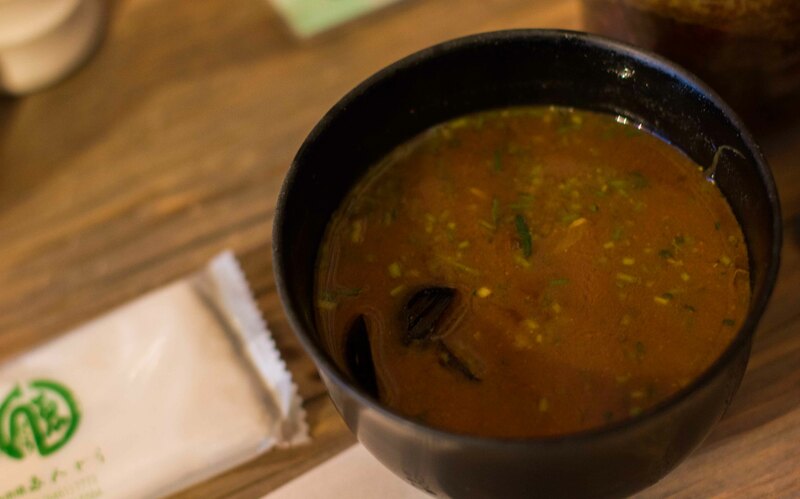 We were quickly served tea and asked if we wanted “omakase” and if we wanted some miso shiru. To both we nodded yes. Knowing that I had just to put one of the best sushi experiences I’ve ever had behind me, and not wanting that experience to spoil all sushi experiences moving forward, I placed myself into the moment and appreciated what I had in front of me for what it was. And it was in fact, very good sushi. It took me a second to get over my surprise that the rice was warm, which intensified its vinegary-ness, but once I understood how this also brought out the flavour of the fish I was smiling at their very unique technique. Rich and complex miso shiru with tiny clams and mitsuba. I probably could have finished here, but for the price of each dish, I couldn’t stop at just 1, so we ordered a second plate. I’m of the mentality that if you can have sushi for breakfast, why wouldn’t you? So with that in mind, my dad and I returned to Endo sushi the next morning with my brother to have the same meal. And if it weren’t for the fact I was feeling sick a few days later, I would have gone back again. It’s definitely added to my “must return to” list in Osaka.